It is all for the sake of creating delicious and healthy cuisine. The tools must be sturdy. And they must be beautiful. Creating frying pans that are beloved by their users for 3 generations. That is River Light's mission. 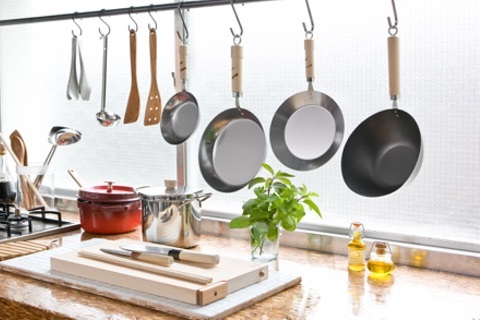 River Light's steel sheet frying pans are beloved by home cooking masters in Japan and around the world. There are 3 main points which River Light takes seriously. That our products are sturdy. That they are rich in functionality. That users grow more attached to them the longer they use them.